One of the best parts of soapmaking is being able to customize your recipe down to the very last ingredient. 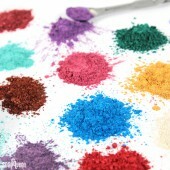 There are an infinite number of oil, fragrance, color, and technique combinations. 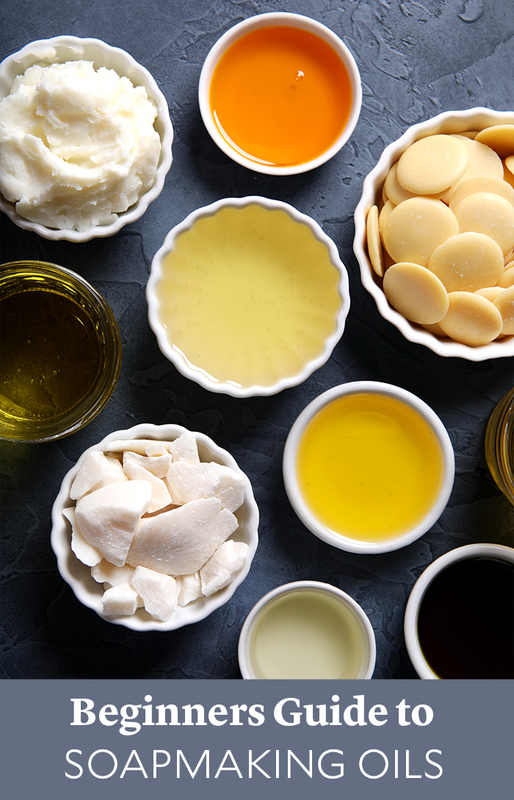 One of the most important aspects of any recipe is the oils and butters you choose. 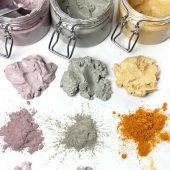 They affect moisturizing properties, how well the bars lather, and the designs you’re able to create. To help, we’ve assembled our most comprehensive resource on fixed oils to date. It includes information on usage rates and shelf lives. It also has an FAQ section and a quick guide at the bottom. This post was updated in September 2018. Some of the shelf lives/usage rates changed based on more up-to-date information from our vendors. Apricot kernel oil is lightweight and high in linoleic and oleic acids. It’s conditioning and easily absorbed into the skin. It produces small bubbles. We recommend using at 15% or less in your recipe. That way the bars aren’t too soft and they last longer in the shower. You’ll love argan oil in DIY skin and hair care products. It feels silky and moisturizing, and it’s packed with vitamins E and A. It can be used in cold process up to 10%. 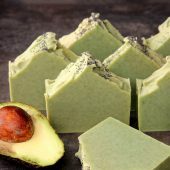 Avocado oil makes a soft bar of soap and is generally used at 20% or less in cold process recipes. It’s rich in vitamins A, B, D, and E. The high levels of fatty acids make it great for lotion, body butter, and conditioner as well. Avocado butter is solid at room temperature. It’s derived from the fruit of the avocado tree and hydrogenated. It has a creamy consistency that makes skin feel smooth and moisturized. You can use this butter up to 12% in your cold process recipes. It also works well in lotion and body butter. Babassu, which comes from a native Brazilian palm tree, can be used in place of coconut or palm in cold process soap. It adds the same firming and cleansing properties, and it can be added up to 33%. However, babassu does have a lighter feeling on the skin and it absorbs quickly. We recommend giving all three oils a try in small test batches to see what you think. 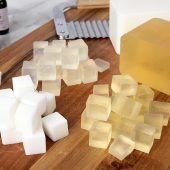 Yellow beeswax is refined and not bleached, while white beeswax is refined and bleached naturally by exposing it in thin layers to air, sunlight, and moisture. It can be used up to 8% in cold process recipes to harden the bars. Your lye and oils need to be at 150°F or higher so the beeswax stays melted. It will speed up trace. This oil is one of the richest sources of essential fatty acids. One of those fatty acids is gamma-linolenic acid, which helps nourish and hydrate the skin. It works well especially for those with sensitive or mature skin. Try it in cold process up to 33%. 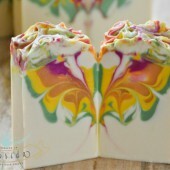 Canola oil is an affordable option for soap. 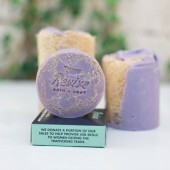 It produces a balanced bar with creamy lather. It’s also a great substitute for olive oil. You can use canola at 15-40% in cold process. This oil has a silky texture that’s hard to beat. It’s lightweight and absorbs quickly, and it’s especially suited for those with sensitive skin. 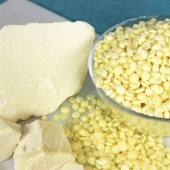 It can be used in cold process soap at 5-15%. This thick liquid is extracted from the castor bean plant. 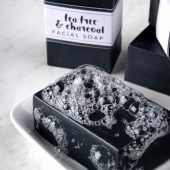 It draws moisture to the skin and creates amazing lather in soap. We recommend using it at 2-5%. You can use it up to 25%, although more than 10% can make the bars soft and sticky. Chia seed oil is the perfect addition to handmade soap, body butter, conditioner, and cuticle oil. You’ll love how lightweight and moisturizing it feels. The oil is also packed with fatty acids, protein, and vitamins. It can be used in cold process around 10%. This butter is solid and hard at room temperature. 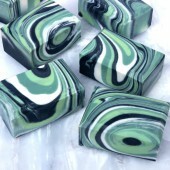 It adds a luxurious and moisturizing feeling to cold process soap. We recommend tempering it for the best results, learn how here. 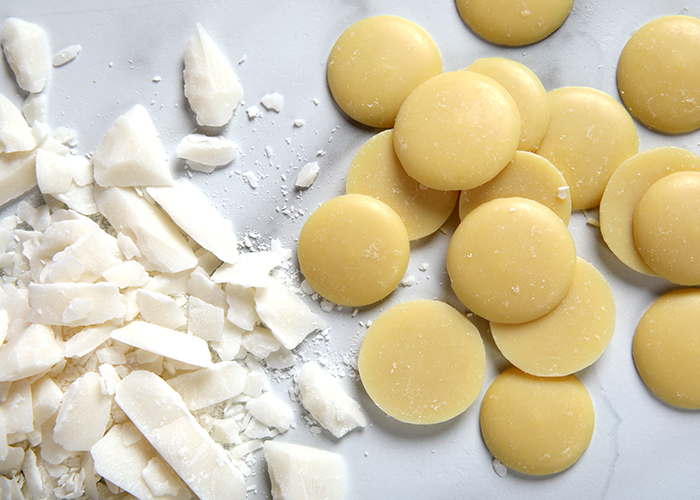 Use cocoa butter at 15% or less in cold process soaps – any higher can cause cracking in your final bars. This is one of the most common raw materials used in the soap and cosmetic industry. It comes in several versions, including 76 and 92°F melting point oils – ours is 76°F. Both have the same SAP value. Coconut oil is super cleansing and produces large bubbles in cold process. It’s so cleansing that it can be drying. It can be used up to 33%, but we recommend using it around 15% if you have sensitive or dry skin. This luscious and rich butter is perfect for lotion, body butter, and soap. It’s a blend of hydrogenated vegetable oil and coffee seed oil, and it contains around 1% natural caffeine. It has a natural coffee scent and a creamy feeling. The butter can be used up to 6% in cold process. This thick and luxurious oil is extracted from freshly-roasted coffee beans. Try it in handmade soap, lotion, balm, and bath bombs. It can be used in cold process up to 10%. Those with dry or mature skin will love this oil. It has excellent moisturizing properties, and when it’s applied it feels lightweight and absorbs quickly. Try it in cold process up to 15%. This is a medium-weight oil that helps keep the skin hydrated. Use it in cold process soap up to 13%. This oil has a lightweight and moisturizing consistency that absorbs quickly into the skin. It can be used up to 15% in cold process. Flaxseed oil is lightweight and a rich source of fatty acids. We love it in balm, body butter, and lotion. You can also use it in cold process up to 5%. Fractionated coconut oil contains only the medium triglycerides, which means it stays liquid. Compared to coconut oil, it has a more lightweight feeling and it makes softer bars. It doesn’t have the same cleansing or lathering properties. We love it in scrub, lotion, and body butter. You can use it up to 30% in cold process. This oil leaves your skin feeling silky smooth. It has a lightweight and thin texture, and it’s high in lineoleic acid and antioxidants. Try it in DIY lotion, massage oil, and body butter. It can be used up to 15% in cold process. 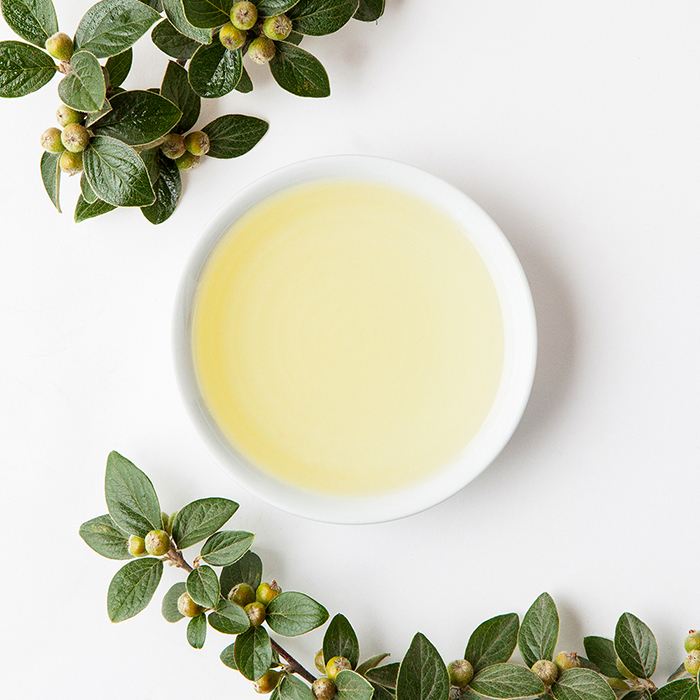 Pick up green tea seed oil today and try it in DIY soap, lotion, and conditioner. 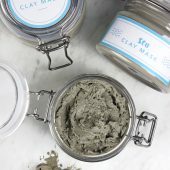 You’ll love the lightweight and moisturizing consistency that absorbs quickly into the skin. It’s also rich in nutrients like vitamins A and B. Add it to cold process up to 6%. This oil is low in fatty acids, so it slows down trace. That makes it great for intricate cold process designs. It has a lightweight texture and it creates conditioning and small lather. Hazelnut oil is used at 20% or less. Hemp seed oil is an amazing source of fatty acids. They help keep the skin hydrated all day long. It also creates excellent lather. Use up to 15% in cold process. 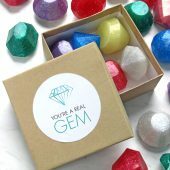 This product is actually a liquid wax that will contribute to a very stable and long-lasting bar of soap. We recommend it at 10% or less in cold process. More than that can weigh down the lather. Pick up kokum butter today and add it to handmade soap and body butter. It has a lightweight and moisturizing consistency that absorbs quickly. 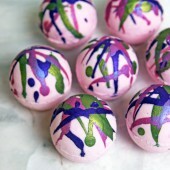 We recommend tempering it using the same method as cocoa butter, learn how here. It can be used in cold process at 10% or less. This luxurious oil is a must-have for your collection. Kukui (koo-koo-ee) comes from Hawaii. It has a lightweight and silky consistency that absorbs quickly into the skin. Try it in cold process up to 20%. You’ll love the way this oil feels on the skin – it has a silky and lightweight texture. It’s also packed with essential fatty acids and antioxidants. Try lingonberry seed oil in cold process at 5-15%. This butter is extracted from the fruit kernels of the mango tree. It’s solid at room temperature but melts on contact with the skin. 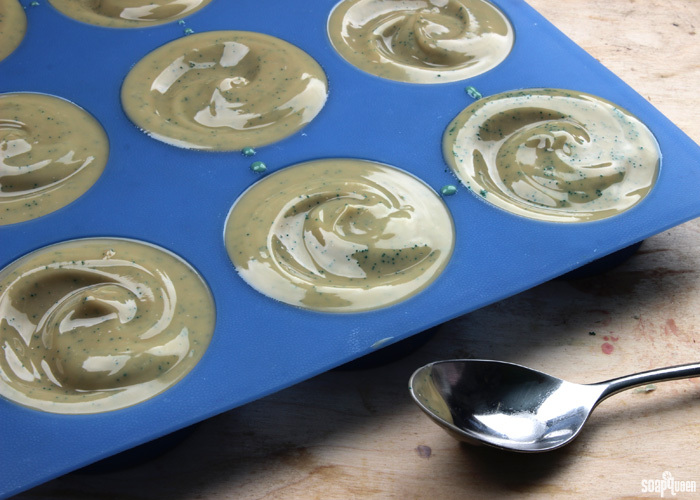 We recommend tempering it for best results, learn how here. It can be used up to 15% in cold process. This oil has a moisturizing and conditioning feel that’s similar to jojoba oil. It contributes to a creamy and silky lather in soap. Originally developed as an alternative to sperm whale oil, this earth-friendly product is generally used at 20% or less in cold process. We like using it around 10%. Pick up moringa seed oil today and add it to cold process up to 15%. You’ll love how moisturizing it feels on the skin. It has a lightweight and non-greasy consistency. If you’ve ever worked with neem oil, there’s a good chance you remember the scent. Its distinct odor is often described as musky or garlicky. Don’t let that scare you away though – there’s a reason neem has been used on the skin for centuries. People love it because it’s incredibly moisturizing and full of antioxidants. It can be used at 3-6% in cold process. This oil absorbs quickly and leaves your skin feeling hydrated all day long. It’s rich in fatty acids, antioxidants, and vitamin E. You’ll love oat oil’s lightweight and non-greasy texture in cold process soap. It can be used at 5-15%. This is a staple in cold process recipes. 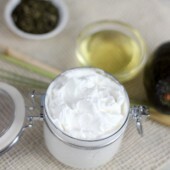 It’s a thick oil that moisturizes the skin and creates creamy lather. 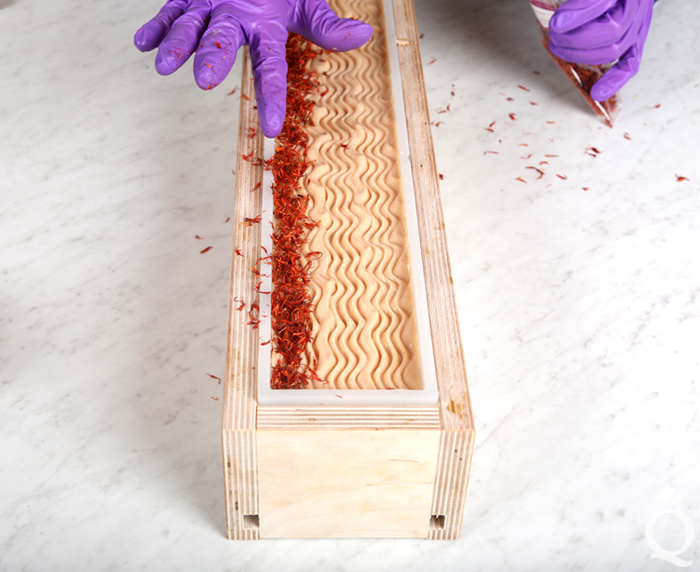 Compared to pomace, pure olive oil creates softer bars and takes longer to trace. It can be used up to 100% in cold process. Palm oil adds a unique feeling to cold process soap. It helps harden the bars and it creates lather when paired with coconut oil. In cold process soap, the oil can be used up to 33%. Don’t forget to fully melt and mix the palm oil before use, that way the fatty acids will distribute evenly. Our supplier is a member of the Roundtable on Sustainable Palm Oil – learn more about the organization here. This is a mixture of partially-hydrogenated palm kernel oil and soy lecithin, and it comes in flake form. We only recommend it up to 15% in cold process soap – a higher percentage can make the bars too hard. It will speed up trace, so be prepared to work fast. These flakes are also from an RSPO supplier. This skin-loving pale yellow oil adds moisturizing properties and creates a stable lather in cold process soap. We recommend it up to 25%. It’s a great substitute for sweet almond or grapeseed oil. 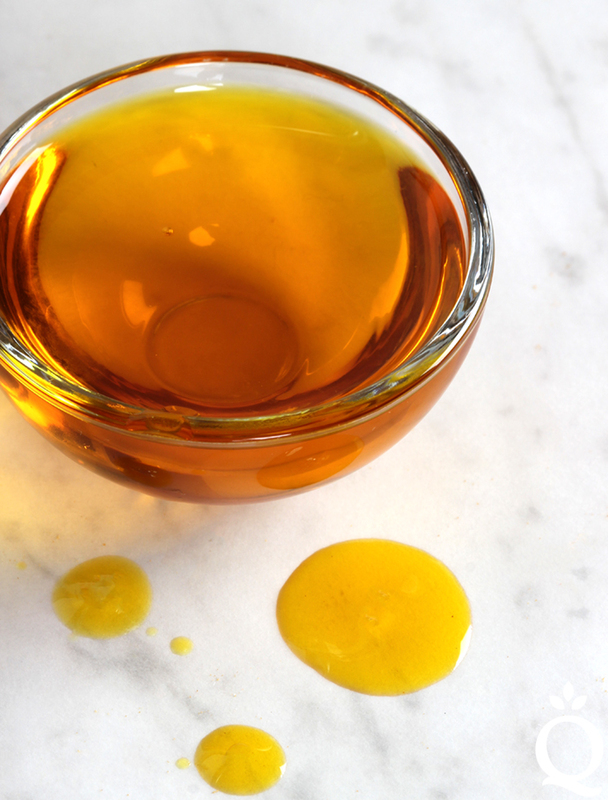 This pale yellow oil is typically used as a substitute for olive or canola oil in cold process recipes. It can be used up to 25%. Keep your skin feeling smooth with this oil. It’s packed with essential fatty acids. When applied, it feels lightweight and absorbs quickly. Use it in cold process soap at 5-15%. Add this oil to your cold process soap to create firm bars. It also adds a beautiful orange color. This palm oil comes from a supplier that’s part of the Roundtable on Sustainable Palm Oil. It can be used up to 33%, but we recommend it around 15% because it can stain molds and the skin. 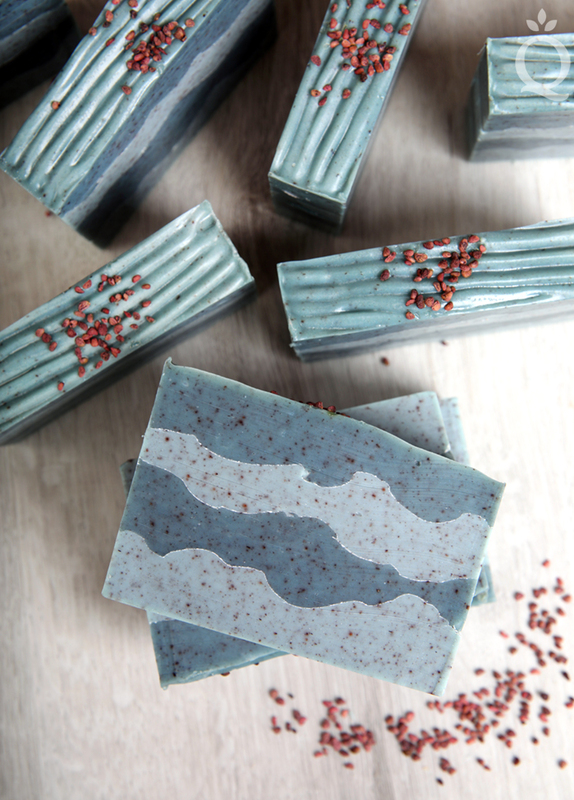 You’ll love the way this oil feels in handmade soap. It’s rich in vitamin E and antioxidants, and it has a thick and moisturizing consistency that’s similar to olive oil. 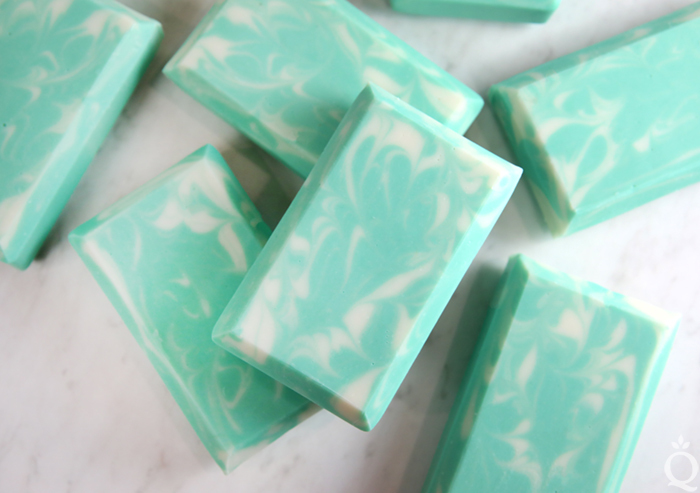 It can be used up to 100% in cold process soap, but the bar will be soft and have small lather. We recommend using rice bran oil around 20%. Those with dry or mature skin will love rosehip seed oil. It’s rich in vitamins A and C, and it feels hydrating on the skin. It has a lightweight and non-greasy consistency. Try it in cold process around 10%. This mild and skin-loving oil is similar to canola or sunflower oil. It can be used up to 20% in cold process soap. This light golden oil is high in antioxidants and fatty acids, which add moisturizing properties to soap. It’s not the same as toasted sesame oil that’s typically used in Asian cuisine. It can be used up to 10% in cold process recipes. 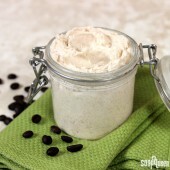 Shea butter feels luxurious and moisturizing on the skin. It helps harden cold process soap and it can be used up to 15%. We recommend tempering it for the best results, learn how here. Soybean oil has a creamy, stable, and conditioning lather. It produces a hard bar of soap when paired with palm or coconut oil. It’s typically used at 50% or less in cold process recipes. We recommend a usage rate of up to 15%. Sunflower oil is rich in essential fatty acids and vitamin E, making it it one of the more cost-effective oils. It produces a lather that is incredibly conditioning on the skin. It does have a slower absorption rate, so it can feel slightly oily on the skin in leave-on recipes like balms and lotions. To help increase the shelf life of this oil, be sure to keep it refrigerated. It can be used in cold process recipes up to 100%, but we recommend 20% or less. You need sweet almond oil in your collection. It’s full of fatty acids and it has a lightweight and moisturizing consistency. You’ll love the way it feels in DIY soap, lotion, and scrub. It can be used up to 20% in cold process. Tamanu oil has a lightweight and moisturizing consistency that absorbs quickly into the skin. It’s also packed with essential fatty acids. It can be used up to 5% in cold process. This antioxidant-rich oil conditions and moisturizes the skin. It can be used up to 15% in cold process soap. When it comes to skincare, wheat germ oil has a lot to offer. 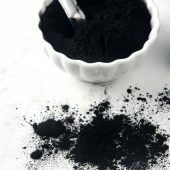 It’s jam-packed with nutrients like vitamins A, B, D, and E. Even though the oil is fairly heavy, it has a light and almost powdery feeling on the skin. It can be used in cold process up to 10%. Q: Do I need to heat up my entire container of palm oil before I use it in my cold process recipe? A: Yes, otherwise the fatty acids won’t distribute properly. That creates white bits or inconsistent results in soap. 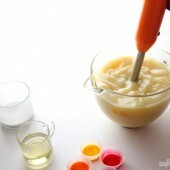 Fully melt and mix well before each use. Q: Do I need to heat up my entire container of coconut oil before I use it in my cold process recipe? A: No, you can scoop it right into a container at room temperature. Q: I’m out of palm oil – can I use palm kernel flakes instead? A: No, palm oil and palm kernel flakes have different SAP values and they feel different in soap. Palm oil hardens soap and creates lather with coconut oil. It can be used up to 33%. Palm kernel oil creates a hard bar and is recommend up to 15%. Q: How can I tell if my oil or butter is rancid? A: There is a noticeable change in either the color, consistency, or odor of the oils and your butters may start to develop mold or dark spots. We recommend writing down the date you receive the oil, that way you know when it’s expired. 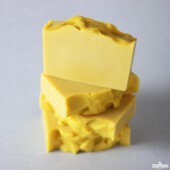 Q: What happens if I used rancid oil or butter in soap? A: It can develop dreaded orange spots. They cause discoloration and the bars may develop an unpleasant scent. Q: What happens if I used a large amount of olive oil in my recipe? 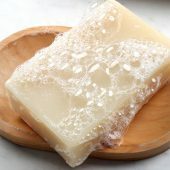 A: A 100% olive oil soap, also known as Castile soap, creates gentle and luxurious bars, but it requires some patience. It will take longer to harden than other recipes – up to 6 months. Some makers developed a taste for “Bastile bars,” which are made with a high percentage of olive oil and harder oils to help speed up the hardening process. You can also add sodium lactate or use a water discount. Q: Help! I’m out of sweet almond oil, can I just put in avocado oil? A: Yes, but you’ll need to run your recipe through the Lye Calculator again. 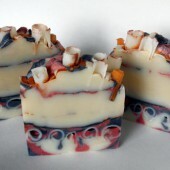 Learn more in the How to Substitute Oils in Cold Process Soap post. Q: What is a SAP Value? A: A saponfication (SAP) value is the amount of lye needed to completely saponify 1 gram of an oil or butter (see the Beginner’s Guide to Cold Process Soapmaking for an explanation of saponification). For example, the SAP value of canola oil is .132, which means it takes .132 grams of lye to turn 1 gram of canola oil into soap. The Lye Calculator automatically calculates the SAP value for you. Thanks for this useful article! I’ve seen somewhere on your website tho now I can’t find it…. My question is; There are oils that I would like to use but not on your lye calculation oil list(nor on SoapCalc), how can I calculate for the lye solution for specific oil that are not on the oil list? Is there any way I can still use the calculation page (SoapCalc too)?? It would be so great if you could add “what if you use over Usage Rate”, will it be too harder/softer? too much cleansing level? fast/slow trace? That’s a great idea, it would depend on the specific oil. I will pass along your suggestion to our development team. I believed this is great. It reminded me of this. I make melt and pour soaps here in Brazil and I always add some glycolic extract (usually aloe vera or goat milk) to it to get an extra selling point. Can I add it in the cold process too? How do I measure it in the recipe? Love your website! You can definitely add extracts to cold process soap. We normally add them in at trace at 1-3% depending on the extract. I thanks so much for this great information. My question is how to know the shelf life the final product (soap) made from different oils, say olive oil, coconut oil and palm oil. Cold process soap normally lasts about a yea. It can have a shorter shelf life if you use a large superfat amount or a large amount of an oil with a super short shelf life like Soybean Oil. The shelf life of your soap can also depend on how you store the soap, constant temperature fluctuation can cause DOS early. You don’t need an expiration but you do need to make sure the weight of each bar is accurate or over what you list on the label! 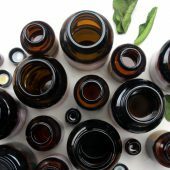 Do essential oils account for the liquid added into the recipe, needing a water discount? Or is it not included in a recipe? Thank you for your help. Essential and Fragrance Oils are considered additive and would not be worked into the Liquid amount of your Cold Process Soap recipe. What would soap making base look like for someone who is allergic to Soy bean, allergic to Olive Oil, and possible others that I have never been exposed to. 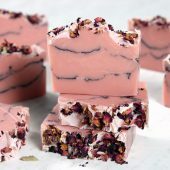 You would want to check with them on the full list of items they are allergic to for sure, as a lot of things used in soap making are tree nuts and there are many people who are allergic to those types of products. first i would like to thank you for all the tips and info you share! it’s very helpfull! my q: i recieved a lot of pomegranate seed oil which have been sitting at a friends basement for a couple of years. the oil is at least 2 years old, very thick and dark rich orange color. 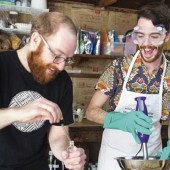 what is the approximate amount to use in cp soap making? what other oils can pomegranate seed oil replace? We have not worked with Pomegranate Seed Oil so I’m not 100% sure. When researching the oil I did find that its shelf life is 2 years at most so it is most likely expired. What is the shelf life of Macadamia nut oil? How much maximum we can add it to a recipe and what qualities will it give to the final soap bar? We don’t carry Macadamia Nut Oil so I’m not super familiar with it. It looks like it has about a 2 year shelf life. My cooked lye. Any other oils, additives or combinations that will give me more big creamy lather? Thanks! Typo: cooled lye water mix. Hey Kaye, something you can do to increase lather is to add some sugars to the recipe. Either in the form of a food product like honey or a puree or a liquid like wine or beer. 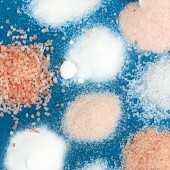 Just be aware that sugars heat up the batch and can cause acceleration and a full gel in your soaps. Thanks! I have Manuka honey. I will try it in my next batch. Thanks for this wonderful blog. I made a batch with my recipe and added the melted manuka honey I love at end before adding fragrance. I usually cover for at least 12 hours but I remembered what you said about over heating and checked about 3 hours in and it was so hot and extremely soft to the touch so I kept it uncovered and it did not crack. Thanks for the tip about overheating! It saved my lovely batch with the amazing Sugar Plum Fairy scent. I cannot wait to test the lather. Hi, I am interested in making soap made with goat milk and lard. What other oils would you recommend. Also, what is the recommended percentage for lard? Normally lard is used at about the same amount as you would Palm Oil, up to 33%. Hi! I’ve been seeing muru muru oil in some recipes, and wondered if you could tell me anything about it. What are some oils that I could replace it with, namely? Thanks! 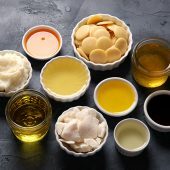 Can we use normal cooking oils like Canola, Ricebran, Sunflower oil from the kitchen to make soap or do we need to get the cold pressed or exclusively made oils for soap making? Thanks! They should work fine in most soaps! You cannot use them exclusively, but otherwise go for it. You can safely use cooking oils in your soap. Though they often have different consistency standards which can affect your soap, like causing DOS early. I’m not 100% sure, we don’t carry muru muru oil and have never worked with it before. When I did a search it looks like it is often in butter form and is similar to Shea Butter. Ok for use in the place of palm oil I would get from my supplier? 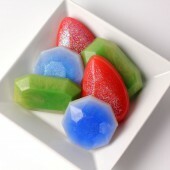 It is apparently just rbd palm oil, so would I just select palm oil on the brambleberry soap calculator for my recipe? Or is it not the same thing? Thank you so much in advanced. 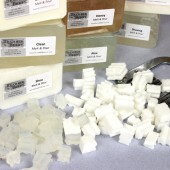 We don’t normally recommend using Vegetable Shortening for soap since it is a mix of oils and will not be consistent in your soap depending on the batch. If you do want to give it a try you would use the “Shortening (Vegetable)” category on the Lye Calculator. Oh ok, even if the only ingredient listed on the packaging and label is RBD Palm Oil? 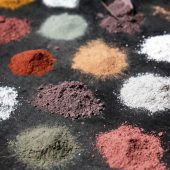 Usually vegetable shortenings do not list their full ingredients because the blend is proprietary and changes based on the market. If the ingredient is truly only Palm Oil then the product would be Palm Oil, not shortening, and you would use the Palm Oil setting on the Lye Calculator. My hands are, unfortunately, sensitive to anything coconut, but I don’t want to eliminate it altogether. Thank you for including the information about reducing the percentage. After I read this, I changed my formula and my hands have been much better. Between 18% & 22% seems to be great for me. Unless you plan on using the entire amount of Mango Butter we do recommend tempering to make sure the mango butter is consistent throughout and the good fatty acids haven’t separated. So then can I temper the whole amount one time, and then just use the needed amount each time, or do I need to temper every time? Yes you can temper the whole amount at one time and just use what you need as you go. It would only need t be tempered again if its temperature fluctuates like it does in transit. When the butter cools slowly it can become grainy. I was wondering if the Bramble Berry Lye Calculator is also accurate for Hot Process Soap. I only see info about Cold Process. Yes, our Lye Calculator also works for Hot Process! Hello! great tips! thanks for sharing. I couldnt find Palm Stearing, have you guys try it out? what is the recommended % usage? I meant palm stearin =) Im thinking on replacing palm oil with it on my cp recipes, do you have any recomendations about it? Can you please help me with the % usage? hello to anyone who can answer my question. 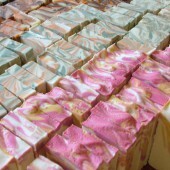 I’m new at soap making and my question is how does one determine how much oil or fat one should use when making soaps. What or is there a method or is it trial and error? 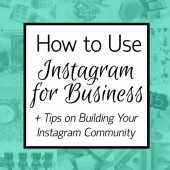 Oh my, love this post… it’s a wealth of useful information and tips. Thank you especially for the usage rate details in CP, was looking just for that info! What is it exactly that can cause soap to crack if butters are used above 15%? For example, does it have something to do with its unsaponifiables, or with a particular fatty acid in the butter? Looks like I missed your question, I’m so sorry about that! The composition of the fatty acids in certain butters will cause that cracking above 15%! The same fatty acids that make the butters solid at room temperature can contribute to a more brittle bar of soap. When you say the soap can crack, do you mean that small fissures are visible here and there in the bar, or that the soap is brittle and the bar might snap in half? I’m trying to make a recipe out of ingredients I already have. What kind or characteristics do you think this will have? Hi! 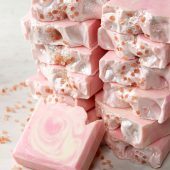 I am new to soap making and I see a lot of recipies that I would like to try. I prefer not to use palm oil. Which oil could I use instead? Thanks! Hi, is there any difference between palm kernel oil and palm fruit oil. If so what is the SAP value for Palm fruit oil . How much percentage we can add to the recipe and what properties will it add to the soap? Palm Fruit Oil is the same as our regular Palm oil. In cold process soap, Palm oil can be used up to 33%. It helps harden the bars and it creates lather when paired with coconut oil. 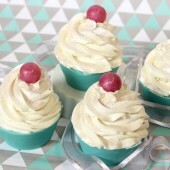 I’m a newbie soaper and keeping it simple – my recipe is olive and palm and smaller amounts of coconut and shea butter. I am pretty happy with the results. 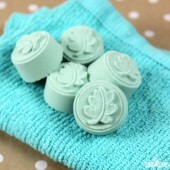 I prefer plain soap and am not too interested in fooling around with coloring, scents, inclusions etc. However, my soap turned out bright orange when I used red palm oil (kind of cool but not what I was going for!) and white when I used regular palm oil. I would like to know what oils will make the end result a tan or brownish color. Many thanks for all the great information. You could also add walnut shells! 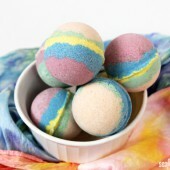 They add gentle exfoliation and slight color. We recommend starting with about 1 tsp. per pound of soap. Hi! I am new to soaking and have been working on formulating my own recipie. Does this look like it will work? This is at 5% superfat. Also, do you have any suggestions to tweak it so it works out better? Hmm, that’s strange! I’d love to help you figure out what’s going on. I’m wondering if that soap is separating. That can sometimes happen if it’s not completely emulsified. Can you tell me how much palm oil, lye and water you use in your soap? Also, how long are you stick blending the soap for? Thanks! 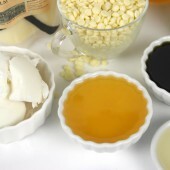 Is there any rule of thumb for the quantity of oils used in your soap recipe? Can there be too many? I was thinking of trying something like this below, thoughts? There are general recommendations for the amount of oils you use in this blog post. However, it’s definitely personal preference! 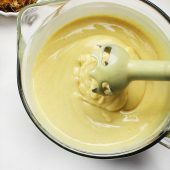 Typically, we use butters at 15% or less in the recipe. More than that can cause the soap to crack. However, I think 16% should be just fine! It appears as if some of the text on your content are running off the screen. Can somebody else please provide feedback and let me know if this is happening to them as well? Thanks again for all of BBs wonderful resources and especially your quick replies to questions. I LOVE researching and learning about new oils. I just discovered Laurel oil and am going to attempt an Aleppo soap soon. 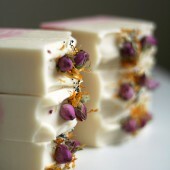 I want to make some luxury soaps to address specific issues (without making claims, of course!) What I can’t figure out is how much of the supposed benefit of the luxury oil will email in the soap? 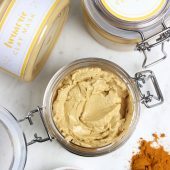 Say, if I use Evening Primrose and Hazelnut oils to benefit dry skin, is the saponofied oil really going to make a difference, or do I need to try to keep those oils to supperfat oils reap their benefits? Also, since soap is only briefly on the skin and then washed off, is it really worth it? Or should I work on formulating a serum? I know that’s probably an opinionated question. You’re welcome, we are happy to help! The saponification process can be a hard environment, and it’s difficult to say what properties of oils remain in the final soap. I can tell you that adding different oils to your bars really makes a difference. For instance, I love adding avocado butter to my soap because it adds such a luxurious, silky feeling. I usually notice right away when I use the soap if it has a butter or luxurious oil! Thank You So Much! I love your website and find I reference back to it OFTEN! Your recipe looks great – it has a lot of skin-loving oils. I imagine it feels great. There are a lot of soft oils, or oils that are liquid at room temperature. These contribute to a softer bar that takes a little longer to unmold and cure. That’s not a bad thing at all! Soft oils add a luxurious, silky feeling to your skin. And, after 4-6 weeks of curing, the bars will be firm to the touch. If you want them a little harder, you can add more hard oils, like palm oil. Palm oil can be used up to 30% in your recipe. Thanks so much for the advice! I’ve watched both links you sent and they have some great info. I’m trying to keep my recipes Palm free so I think I’m going to give the Sodium Lactate a try. Not sure if anyone will know the answer to this, but my dermatologist believes that handmade soaps are comedogenic. I tried googling for more information, and found very little. However, I did read somewhere that after oils go through the saponification process they are no longer comedogenic. Is this true? Or should oils and butters with a high comedogenic rating, such as coconut oil and cocoa butter, not be used in soaps intended for the face? Thank you so much! I think it really depends a lot on your skin type! When oils and lye are emulsified, they go through a process called saponification. This transforms them into soap. That means you are not putting straight oils on your face. The soap, depending on which oils you use, can be cleansing and moisturizing. For instance, coconut oil is very cleansing and has great lather. I have acne-prone skin and I use handmade soap all the time. I haven’t noticed an increase in blackheads! However, it really depends on your skin. 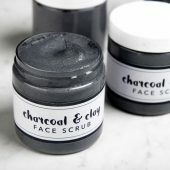 If you feel that handmade soap is not working for your face, you can use a blackhead fighting cleanser instead. To find out how much oil, lye and water to use to get the weight you need, you can use our Lye Calculator! First, enter your oil weight. That is a bit of a guessing game. Enter the amount of oils you think your recipe may need, then click “Calculate.” If it’s too much or too little, you can enter new amounts in the “Resize” box! Thank you so much for the reply, I don’t think I could do the guessing game part lol, I would literally need a recipe put in front of me, I have no idea how I would pick what base oils I would want to use and then figure out how much of each oil I would need to use…I was just checking out you’re lye calculator, and I think so long as I had a recipe to work from I would be ok, however I would love to eventually learn to pick my oils, find out my mold size and figure out the amount of each oil I would need. This all seems very intimidating to me right now and I figured the more I read, the more I would learn and feel comfortable but it’s turning out, the more I read the more frazzled I get :D, again, thanks so much for taking the time to reply to my question. I know your busy but I was wondering if you could make a post about suitable substitutes for more common oils in recipes. Many of my “guinea pigs” have allergies to nuts or avocado. Also, I’d be more than happy to answer any questions you may have! What oils are you wanting to substitute in your recipes? What are the recommended usage rate for pumpkin seed oil and argan oil? 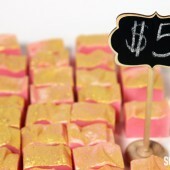 If I want to add fruit puree (such as pumpkin) to the soap, how is that done and what is the recommended rate? Will I need to add a preservative? You can add pumpkin seed oil at 5-10% in your recipe, and argan oil up to 20%. Keep in mind pumpkin does have natural sugar in it, which can cause the soap to overheat. 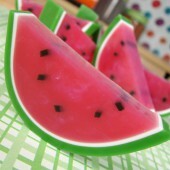 To prevent overheating, pop it in the fridge or freezer after it’s in the mold. Hi there! I am just starting my soap making journey. Thank you for making such a useful blog with plenty of free information. I haven’t even ventured into any other websites yet because yours is so comprehensive! I have one question — how do you clean up your container and spoon that you’ve used to make the lye water? Is it ok to rinse it with water and let pour down the drain? I believe the container and tools used to blend the lye water and oils together can be left overnight and cleaned the next day, as it’s essentially soap. Am I correct? Just wondering about the lye water stuff. Thank you!!! You’re welcome, so glad you like the blog! You can definitely rinse your lye containers in the sink if you like. We do it all the time in the Soap Lab with no problems. Actually, most drain cleaners contain lye! Hi! I was wondering if it would be possible to make a useable bar of soap with only hempseed oil? Thanks! Would really like to see a list that includes oils like Neem, Beef Tallow, Babassu, Argan and others. This is a handy list though. 🙂 Thanks for making it! 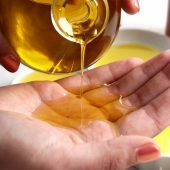 This is a fantastic guide on oils. I’m a bit confused, though, as to why various sites advise using 15% or less cocoa butter and where that warning originated? Mine are all made, without exception, (fragrance and colour free) with 40% raw organic cocoa butter, 40% organic castor oil and 20% extra virgin coconut oil, using either organic coconut milk or organic oat milk instead of water (I’ve never used water), with 7% superfat (the milk possibly brings the SF up to around 8%, if I had to guess). When I remember to do so, I incorporate 2-3% sodium lactate. Despite usual recommendations, I’m a big lover of organic castor oil and not at all shy about using it on equal footing with cocoa butter in my formula. In almost 5 years of cp soapmaking, I’ve never had a bar go brittle (with or without SL), nor have any of my batches ever developed ‘white streaks’ (some sites advise that white streaks will occur if cocoa butter is used at more than 15%). Frankly, I’m at the stage now where I just can’t keep up with the demand (some of my soaps mysteriously found their way to Italy, so the demand has grown even more), but I’m most curious to know the origins behind the cocoa butter warnings, given that my experience is quite the opposite. Gabz, I am intrigued by your recipe. How hard is your bar? How does it lather? I would love to try this recipe, it is so unique. Hello, is Coconut oil the only oil that can cleanse? I’m having a difficult time finding information on that. Also I’ve heard about anchoring scents into soap. My scents are very faint. How can I enhance the scent and what is the amount that should be used? Thanks in Advance! Anchoring scents is a great way to help faint scents, like citrus essential oils, stick in your soap. You can blend your lighter scents with a deeper fragrance, like Almond Fragrance Oil, Vanilla Select Fragrance Oil or Patchouli Essential Oil. Those deep rich notes help boost the lighter scents, and add some nice complexity to your fragrance! Do you think this product that I found Will work in my recipe as a substitute while I am waiting for Brambleberry’s palm oil and what it have the same SAP value? If so do you think I still need to melt the container? If not what makes it different? 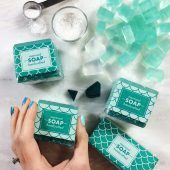 Thanks for being such a great resource for all of us beginnner/intermediate/advanced soap makers. Vegetable shortening isn’t the same as palm oil. While it may have similar ingredients, it is processed differently and can have additives in it. We haven’t worked with vegetable shortening a lot, so I’m not exactly sure how it would act in your soap! It may help to make a small test batch. You can also make soap without palm oil. We have a couple of great recipes I’ll include below. My question is: if I use sunflower oil (3 month shelf life) in my CP recipe, after 6 week cure, how longvwill my soap last or is usable? How can we sell a soap that has a short shelf life? What can be done to increase the shelf life if the sunflower oil? Or other short shelf life oils? Sorry as there are a few questions in there. Hopefully, you can answer them all. Thanks in advance for interupting your busy schedule. How long your soap will last depends on a number of factors, including temperature, humidity and where it’s stored. It’s important to keep your soaps in a cool, dry place with lots of air flow. That will help extend the shelf life. I’ll include a blog with more tips! However, there is nothing that can be done to extend the shelf life of sunflower oil. If you’re concerned about that, you may want to use a different oil instead. Sweet almond oil is a great lightweight oil like sunflower oil, and it lasts 6 months to a year. Great website, I like it. Just wondering if i cane use vaseline (pure petroleum jelly) instead of hard oils or fat. I believe Petroleum Jelly is a wax-based product. This means it would not saponify, or turn into soap. This is great, thanks so much. You have a wonderful resource for newbies like me. Please tell me the benefits and disadvantages of soaping with Palmolein Oil. Since this is widely and easily available in India, I would like to use it. If used at a 30% rate, would it make my soap too oily? I used this recipe but however my soap takes too long to dry and is extremely oily even after a week. I live in a very humid place. We haven’t worked with Palmolein Oil, so I’m not exactly sure! Does it come as a solid oil? If not, that may be why your soap is still soft. To make it a little harder, you can increase the Coconut Oil to 30%. Thanks for your quick reply! Actually due to weather conditions, only shea and cocoa butter come in a solid state. Rest of the oils including coconut and palmolein come in a liquid state. Would it help to keep coconut at 25%, reduce palmolein to 25% and add 5% of something else to give hardness? What would you suggest for that 5%? Because you have cocoa and shea butter in your recipe, those should help make a harder bar. What you can do is add 1 tsp. of Sodium Lactate per pound of oils to your cooled lye water. That helps make a harder bar. Does this guide apply to a Hot Process Method? 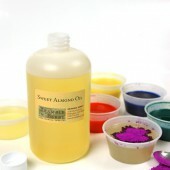 When using a mix of hard oils would lowering the temperatures of the lye mix and oil mix help slow down the trace time? The best bars of soap have a combination of both hard and soft oils. The higher your temperature of oils and lye, the faster your soap will reach trace. Lowering the temperatures will help slow down trace. Even a difference of 10 degrees can make a difference! :). I try to avoid nut oils because of the allergy potential. Is Canola a viable sub for Almond? Soap calc rates canola as slightly more conditioning, but within 2 “points” of of sweet almond in hardness & creamy lather-ness; it has less palmitic and oleic acids (not an issue in a soap with olive and palm oils); slightly more linoleic and a bit of linoleic, too. It seems like it would be a quality substitute for sweet almond, not a budget substitute, with double the shelf life, to boot. Am I missing something? Thanks for the reply. I wish I understood what sweet almond offers that canola doesn’t. Is there a nut-free oil that is a better sub for almond? Can vitamin E or safflower oil be used without changing the consistency of the bar? And if so can beeswax help to solidify or harden bars that are softened due to oils? I apologize if this question has been asked multiple times. I just want to ensure that if I mess it up, I can find a way to fix it. Also, will using sweet almond oil, overpower any scent or fragrance in soaps? Ive noticed almond oil has a very overwhelming scent, but if it’s moisturizing properties are what Im looking for, I don’t want the scent to be offputting. Any oils you add to your recipe have the potential to change the consistency. Vitamin E Oil makes a great additive to your soap, and can be added at 1 tsp per pound of oils. Safflower Oil is similar to Canola or Soybean Oil, and can be added up to 20%. A great way to harden bars is by using Sodium Lactate. We recommend adding 1 tsp. per pound of oils to your cooled lye water. [email protected] Can you tell us about uses of neem oil in soap? And shelf life? I know it is a stinky oil. But I think it is something I’d like to learn more about. You’re right, Neem Oil does indeed have a distinctive, rather strong smell. Many soapers like to use a very strong fragrance oil to try to cover up the smell. In general, it has a shelf life of 1-2 years. It’s known for it’s anti-bacterial properties 🙂 I hope this helps! 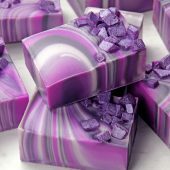 Hello , I am very new to soap making and thanks for the info you are providing thru this website. How to calculate the shelf life of a soap? Is it the lowest of the oils I used? Ex. If I use Olive Oil and sunflower oil , will the shelf life be 3 months? Secondly,If I heat up the whole palm oil can I use 1/2 of it now and keep the rest for few weeks for the next batch ? You don’t have to worry about soap going bad (ie: growing mold) because the pH level does not allow for bacteria to grow. That being said, over time soap will start to dry out and the scent can fade. Oils, before they are made into soap do have a shelf life. 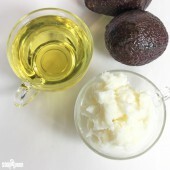 You can find a list of common oils and butters along with their shelf life here! Okay so I have been making soap for a while (using wooden molds), but have never found it necessary to use Stearic Acid to produce a harder bar of soap. 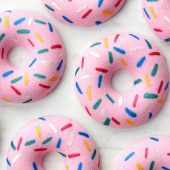 I purchased a couple of Brambleberry’s 10″ silicone molds (love them!) and they were/are working great, but even after sitting 36-42 hrs there were chunks of soap left in the mold (my mind tells me this has occurred because the soap is not evaporating is water as easily having been in a silicone mold). After doing some reading, I found that it was recommended to use Stearic Acid with these molds to aid in a shorter mold time and to produce a harder loaf (presumably one that will not leave chunks behind during the unmolding process). So I went ahead and used my go to recipe (with Cambrian Blue Clay & Eucalyptus EO. I used 7g per pound (21g in all) and on day 3 the soap is about as hard as cold butter (I cant even un mold it..planning on waiting it out) What did I do wrong? I visually observed a complete gel phase within 5 hrs of pouring in case that’s relevant. Any thoughts? I have actually never worked with Stearic Acid in my soap before, but have used it several times in lotion recipes to act as a thickening agent. 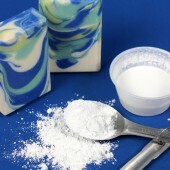 In order to produce a harder bar of soap, we like to use Sodium Lactate, which is a liquid salt. We add this to slightly cooled lye water at a rate of 1 tsp. per pound of oils. I did a little research regarding stearic acid in soap, and it seems that it can be a little tricky to use! From my research, it seems that the amount you use depends on what kind of oils your recipe contains. You may want to check with fellow soapers on the Teach Soap Forum to see if they have any additional tips or tricks :). Does this need preservative? How long would it last without and what is the best preservative to use as well as how much? 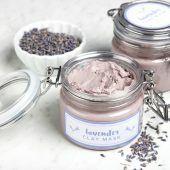 Body butters do not require a preservative unless the recipe contains water 🙂 To learn more about preservatives and when to use them, you may find these blog posts helpful! Thanks Amanda, that’s what I figured, and I’m going for a hard bar. My last batch came out kinda soft, softer than I expected for some reason. Question about palm oil and kernel: would using the full 30% palm oil and 15% kernel be too much? Would it somehow = 45% or are they different enough for it to be ok? Is the shelf life of the oils prolonged after they are made into soap that does not have any perservative added? For example hazelnut oil has a 3 month shelf life just sitting around but after I make a soap with it with no added ppreservatives, is the shelf life of the soap only 3 months. And is it safe to Freeze the oils? If you’d like to learn more about preservatives, you may find this blog post helpful! I’ve been playing around with several different lye calculators just out of curiosity. They all give slightly different values when the oils and superfat are the same. If you are wanting to substitute Mango Butter, you could use Shea Butter or Avocado Butter. In general the butters are fairly interchangeable, you just need to make sure and run your recipe through a lye calculator every time you substitute oils/butters in cold process recipes. I hope this helps! What can I substitute for mango butter in a cold process soap? So, it is OK to freeze oils? And butters? Yes, it’s just fine to freeze oils and butters :). I hope you found this post helpful to you! Yes. Thank you! Is there a specified time on the freezing? Just wondering if you have any information about Corn Oil? I’m really interested in subbing out most of the Olive Oil in my soap recipe to make a more inexpensive bar. Would Corn Oil be a good substitute? Thanks in advance! Corn Oil is not a very good substitution for Olive Oil. I would recommend Canola Oil instead. 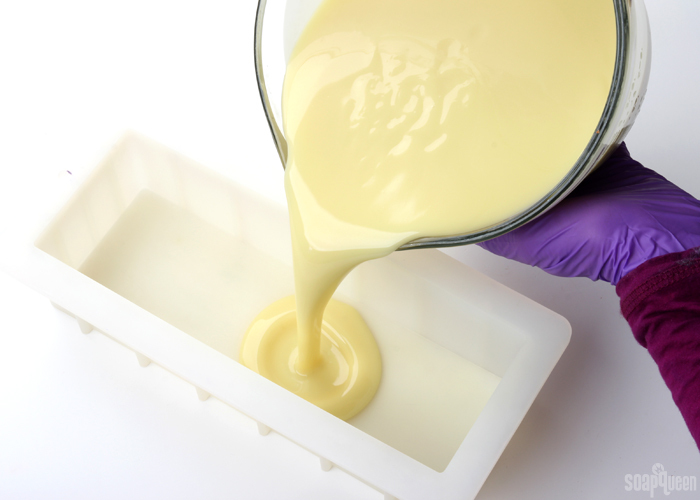 We have found using Corn Oil results in a slimy, weak lather in your soap. 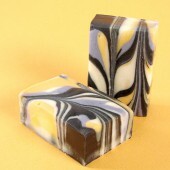 Canola is a good economical oil for soap making. It gives a nice, low, creamy lather and is moisturizing. Is canola oil just rapeseed oil? I am new to soap making and I can buy rapeseed oil in my local supermarket is it the same? I live in the UK and love reading all your posts thank you for a great website. Thanks Amanda! I have been freezing the oik, and I added ROE to it. What I was wondering was if I could freeze the actual soap once it’s made. Oooh, I see :). You can freeze your soap, but I wouldn’t recommend freezing it for a long period of time. Because there is water in the soap, freezing could result in some texture issues, possibly crumbling. Once your oils are in soap, they will last longer than the shelf life listed above. The time period listed above (3-9 months for Hemp Seed Oil) refers to how long the oil lasts in the bottle, so most likely your soap will sell before it goes bad :). 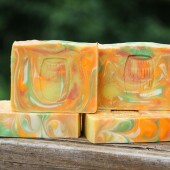 I’d like to use Hemp oil in my soap but I’m afraid that it will go bad before I can sell it. I’m wondering if I could freeze some of it to keep it fresh longer. Would that dry it out? Or possibly some other problem. I looked around for the info, I was surprised no one else had asked this yet! You can definitely freeze the Hemp Seed Oil to make it last longer, and it will be just fine :). Hope this helps! I’m curious about the shelf life of sunflower oil; shouldn’t the high vitamin E content make the shelf life longer? I have seen it listed on other pages as up to 1 year, just wondered how you came to the 3 month conclusion. I have looked into this and have found somewhat mixed information regarding the shelf life of Sunflower Oil. I did find a few sources that claimed (like you found) that Sunflower oil is good for up to 1 year. They did not indicate if this was unopened or opened, so I’m assuming unopened. I did find a few sources that claimed a shorter shelf life, so I’m assuming they are referring to opened oil. We highly recommend either refrigerating or freezing what you will not use right away. The important thing is to keep the oil out of light, air and heat. This will help your oils last longer. 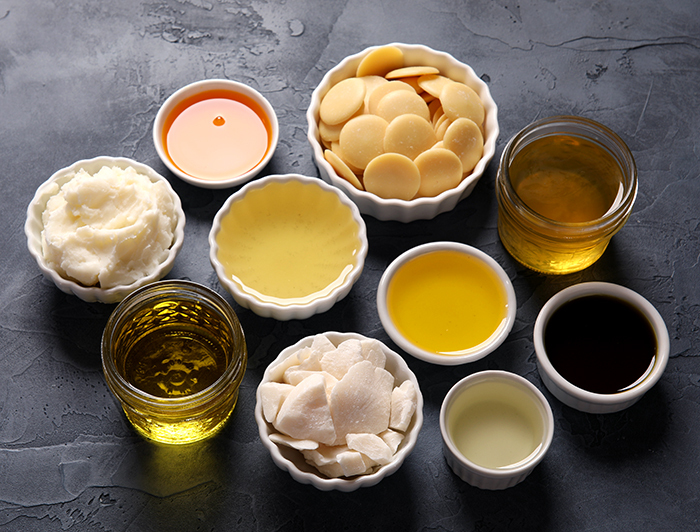 When an oil or butter starts going rancid, there is a noticeable change in either the color, consistency or odor of the oils (or any combination of the three) and your butters may start to develop mold or dark spots. i am looking for emu oil based soap making process and different cosmetic lotions using this emu oil. can you explore the opportunities you have in this regards . Emu Oil is a off white to yellow fat, and it may be liquid or semi-solid. In lotions and creams, you will want to use 1%-12% Emu Oil of your total volume. Unfortunately we do not carry Emu Oil on Brambeberry(dot)com. You may want to check the Teach Soap forum and see if anybody there has additional tips and info regarding Emu Oil! I hope this helps Prem! I’ve noticed that the table in this post, as well as the PDF both show that palm oil shouldn’t be used over 30% in a recipe. But I know that the tried and true 33/33/33 recipe, as well as many others commonly have over that %. Just wondering why this is! My current recipe is 35.5% palm and takes up to 8 days to harden (if not gelled, 3 days if gelled) and I now wonder if maybe I’ve been using too much palm? I’ve no idea why my soap takes so long to harden LOL A conundrum indeed! I actually already add sodium lactate! I add it at 2-3% depending on the mold I’m using. That’s great that you’re already using sodium lactate in your recipes, and we’re glad you found a formula that works for you! In case you want to experiment a bit, here are a few palm free recipes to try! This list is very helpful! There are several similar lists available on the internet and all seem to use different recommended percentages for each oil. It would be helpful to know what happens if you go over the recommended amount. For example, if you use too much coconut oil it will be too drying. I guess I’m just wondering how you came to your recommended amounts. We know that the mass amount of information can be confusing, but this actually comes from years of research and experimentation by Anne-Marie. 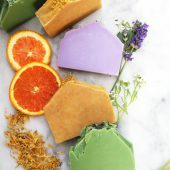 Typically, if you go over the recommended amount, your lather isn’t going to be as stable and your soap may be too soft, too sticky or too hard. We highly encourage you to experiment with your recipes until you find the perfect one for you. Thanks for replying Becky, just so I am clear on this, a soap with walnut oil in it will have a shelf life of 3 months from the date of being made and a soap with wheat germ in it will have a shelf life of 6 months. Is that correct. 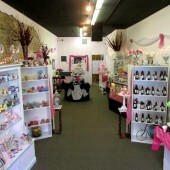 If you have created a soap with Walnut Oil in it, the shelf life will only be about three months, so you are correct! 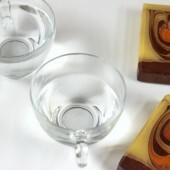 Sometimes the soaps do last longer, but we recommended a use by 3 months on Walnut Oil. This is the same on the Wheatgerm Oil as well. 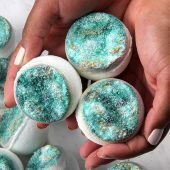 To determine the shelf life of any bath & body product you will always want to go by the ingredients (typically oils or butters) that have the shortest shelf life. Great resource, just wondering if the shelf life refers to the life before being made into soap or does it refer to the shelf life of the soap made with the oil. When looking at the shelf lives of these particular oils, we are referring to the oils themselves. 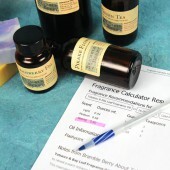 If you use new oils, your shelf life of your oils and soaps should be just the same! In fact, we’ve found that most soaps even last a bit longer then their shelf lives (I have a few soaps that are 2 years old!). Thank you so much for this information. Now I don’t have to search through several resources to find usage rates. Will definitely be printing the PDF! We are so happy to hear that this is going to help you out so much. Thanks for your comment! Do you have any suggestions for how to access the chart? Thank you! Disregard the above question, please. I came back to this site and tried again to access the downloadable chart and it worked just fine. Glad to have this resource! What a really wonderful guide. When I was reading all the info, I was shocked to read the cocoa butter only lasted 1 year – I had been told it was 5 years and just stocked up on some that would last me way over a year. But then I saw on your handy chart that says Cocoa butter lasts up to a 5 years, so I really hope the chart gives the correct info. Thank you for this great stuff!!! 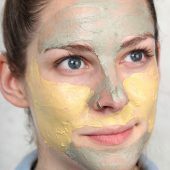 Thanks so much for this awesome primer on soapmkaing oils! The chart will come in handy. It’s great to have all of this info in one place! Great info. It is a great easy go to guide for oils. Love it! This is great info! Thank you so much for taking the time to compile all this. Thanks so much for this resource. Can you explain why different SAP value charts have different values for the same oil? Found this to be very confusing! For example, Nature’s Garden quotes canola/rapeseed @ .133, From nature with Love quotes it @ .124, and Soap Queen’s is .132? Is there a range which a given oil can work within? Anyone with any knowledge about this please chime in so I can understand! Thanks for any help. Thanks so much for this list, it’s exactly what I’ve been looking for.